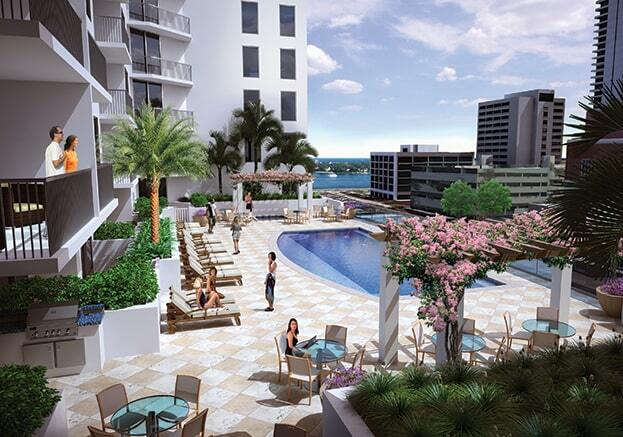 The Alexander is a luxury 20-story apartment building in the heart of West Palm Beach’s Arts District with views of Palm Beach and the Intracoastal Waterway. Kolter Urban created The Alexander as an upscale apartment community with high-end finishes including modern, open-concept floorplans with soaring ceilings, balconies on select residences, contemporary style baths, and gourmet kitchens. The Alexander is also within walking distance to CityPlace, numerous retail shops, dining, culture and entertainment.